Your HVAC system is the quiet champion of your home in Marion. While you come and go and live your life in your home, your air conditioner works hard to keep you cool in the summer. Your heating unit makes your home an inviting space during the colder months. While these systems may work in the background, when an issue arises, it’s suddenly in the forefront of your mind. 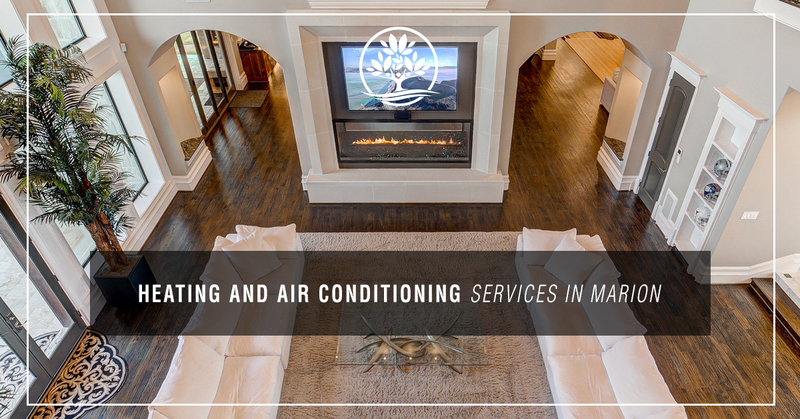 For HVAC services in Marion, there’s no better choice than Legacy Services Air Conditioning and Heating. 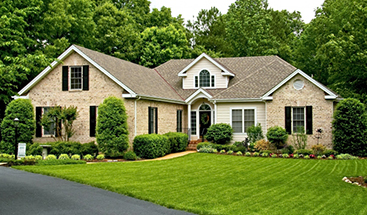 As Marion’s Top Rated Local® HVAC service, we’ve built our reputation on the repertoire of HVAC services we offer. No matter the time of day, or the kind of problem you’re experiencing, we can help get your HVAC system back in working order. At one point or another, even the most high-end and reliable HVAC units will experience some kind of issue. In these moments, don’t let a broken air condition leave you feeling hot and bothered. Our technicians will help you keep your cool as they inspect every part of your HVAC system, whether its an air conditioner, heat pump, or even your ducting. After our HVAC experts have diagnosed the issue you’re experiencing, we’ll take the time to walk you through your options, and help you make the right decision for your home and your budget. We want to make sure that your HVAC system is repaired effectively, or help you find a new replacement system. While the world is concerned about the quality of air outside, inside our homes, we’re also facing an air quality issue. As home construction becomes more efficiently, and we seal our homes from the outside elements, we also seal in harmful particles and substances like molds, mildews, germs, and chemicals. That’s why Legacy Services also offers a complete suite of indoor air quality testing services. By making use of EPA approved ultraviolet lights, medical grade air purifiers, HEPA media filters, and ERV fresh air systems, we can help you resolve the air quality issues in your Marion home. Simply searching Google for “air conditioning service near me” will only offer you dozens of results from dozens of HVAC companies. While all of them will undoubtedly offer the best prices and service, they aren’t always telling you about the associate or hidden fees that are behind even a short inspection service. We’re committed to making our services affordable, so we offer a variety of financing options and even a variety of specials. A new HVAC system can be a major financial investment, and if your HVAC system breaks down suddenly, it might be an unexpected one at that. To help make purchasing a new HVAC unit or system an easier decision, we offer financing options and very competitive rates, like 0 percent APR for up to five years. The idea of investing money into a new HVAC system might make some blanch, so we offer specials throughout the year that help you make the most of your investment. Our specials cover a variety of our services and products, so make sure to check throughout the year. We’ve established ourselves as Marion’s trusted choice for HVAC services thanks, in part, to our strong values of integrity, honor, service, and reliability. With 30 plus years of experience, you can rely on us to offer you the best quality of work available. Our HVAC company is licensed, insured, and we guarantee 100 percent of our work. We understand that dealing with an HVAC issue can be a taxing experience, and we don’t want to add to an already stressful situation. We’ll never use pushy sales tactics or manipulative practices to get you to buy something you don’t need. Rather, we’re ready to offer you a free, no hassle quote on the work you need done, and provide you with an accurate estimate you can take to our competitors. Not satisfied with a quote from another HVAC company in Marion? Give us a call. We’ll drop by and offer a second opinion. HVAC issues don’t always happen during regular business hours, so we offer 24-hour services so you can get your HVAC issues addressed ASAP. In need of an HVAC inspection or ready to get an entirely new HVAC system? Give our specialists a call today to schedule an appointment.